In many Native American stories of creation, Coyote proudly takes his place as the ultimate trickster, the mischievous hero whose lessons may even include painful lessons for the unwary. Mindy Dwyer's retelling of a Northwest coyote legend allows readers young and old to meet that same colorful and wily creature, but this time made vulnerable himself by love. 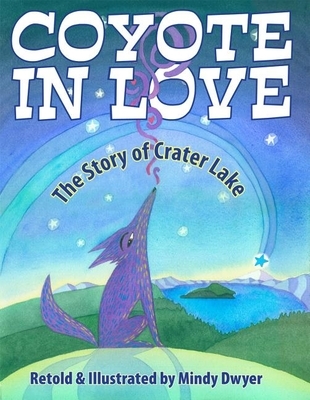 As the author and illustrator sums things up, Coyote in Love is "a tale of love and the way things came to be." Children will be entranced as they hear of the antics of Coyote as he sings to the heavens in pursuit of the love of a star. They'll also learn from the "Old Ones" how a lake with never-ending depth and the bluest waters--Oregon's Crate Lake--was formed by a flood of tears from heartbroken Coyote. This appealing legend is matched by the bright, whimsical watercolor images of Coyote. Mindy Dwyer studied art in Pittsburgh and at the University of Colorado in Boulder. Her art has appeared in solo exhibitions as well as in juried shows across the country. Mindy's other children's books include "Aurora: A Tale of the Northern Lights, Quilt of Dreams, " and "The Salmon Princess: An Alaska Cinderella Story."